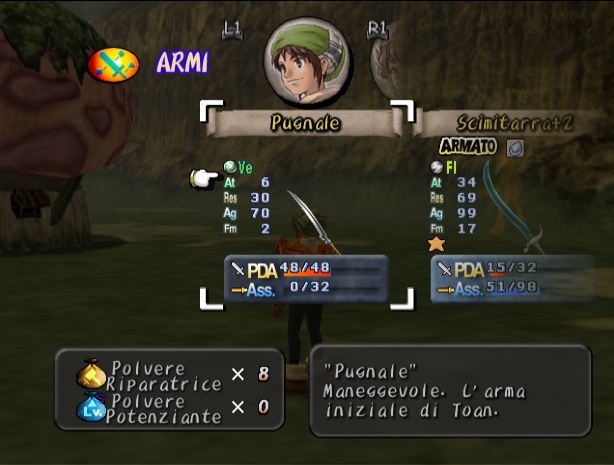 OverviewReleased early in the life of the Playstation 2, Dark Cloud is an RPG with tradional dungeon hack gameplay, mixed with the very unique Georama world construction system, and interesting weapon development mechanics. 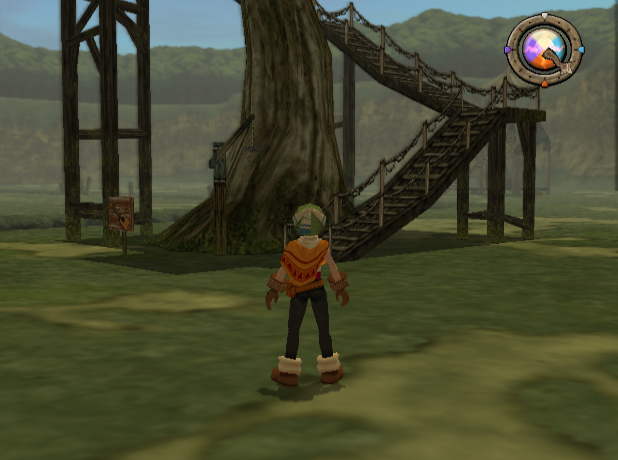 When I first purchased a PS2 back in 2001, this was the second game I played. Most of this is from memory. Level 5 seems to have a habit that every game they make not only is good, but takes dozens of hours to complete properly. With that in mind, you probably shouldn't start playing unless you've got plenty of down-time. As for the game itself. Cute, humorous, well put together, and in general very very satisfying. Most of the dungeon crawling hack&slash will more take place to grow your weapons; If you don't grow your weapons (or gems) properly you will get stuck and frustrated, thankfully if you have to start from scratch it isn't too hard; Although it can be time consuming. Since your weapons can break (and disappear) you need to keep a good eye on the durability. Thankfully there's a few items that help you. Some levels have certain limitations on them, you can't switch characters or you get thirsty quickly, or you can't heal, no map, etc. Every level is randomly generated, I only found 1 map in 2 years that I couldn't complete due to a map generation bug. Bosses are fairly fun and simple, however to note every boss needs to be weakened by the character you gained in that area before you use anyone else to beat them down (The shipwreck is one example). Trust me. You have a limited inventory; However weapons, items, gems all have their own stashes. The town building is fairly fun and simple, combine pieces to make replaceable objects and pick up and move them wherever you want. When you complete various objectives you'll get gifts. Oh yes, you can also go fishing. 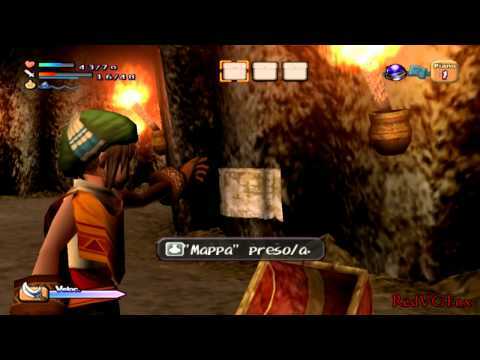 Cutscenes are smooth and great, although few and far between, I wish I could re-watch them. All in all, the game is a great way to waste a week or two of your life if you have nothing to do. Now you can add videos, screenshots, or other images (cover scans, disc scans, etc.) 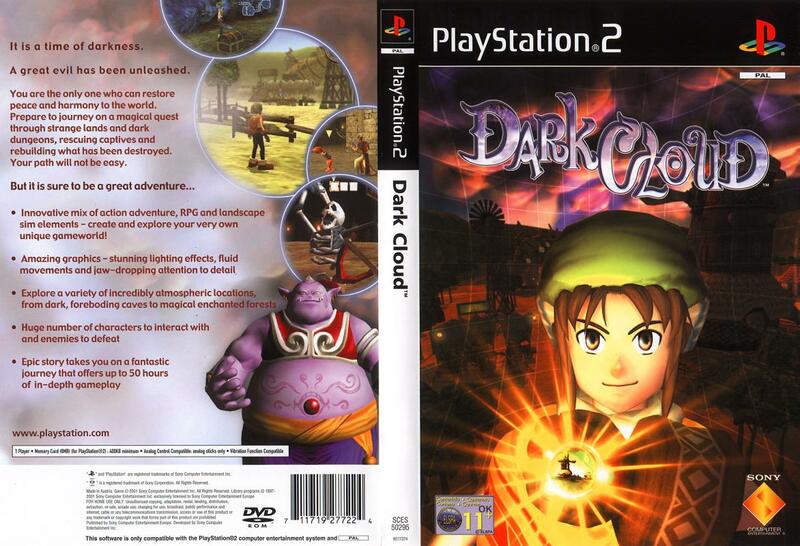 for Dark Cloud (Europe) (En,Fr,De,Es,It) to Emuparadise. Do it now!